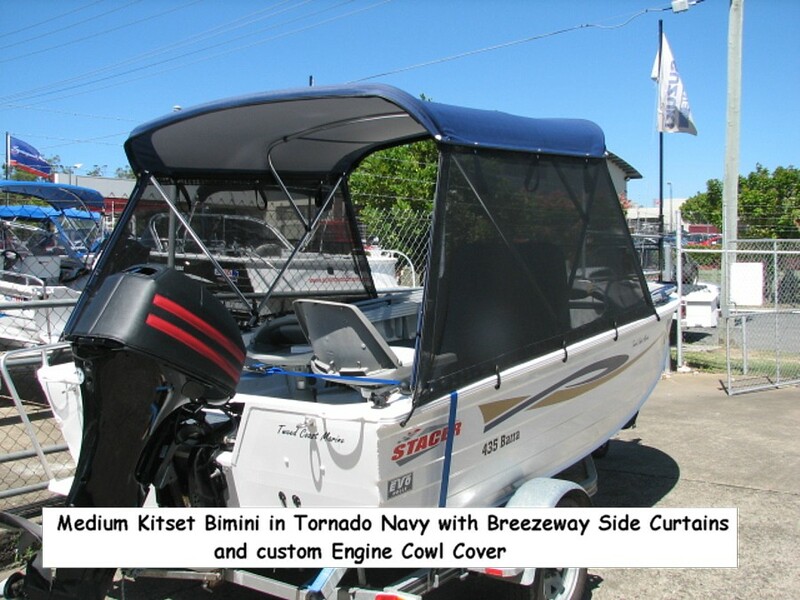 At Rowland Street Boat Trimmers, we have developed three Bimini Top Models that will fit a large range of Aluminium Boats from small dinghies to large centre console fishing rigs. Our Small Kitset Bimini tops are designed for sitting room, which gives approximately 1 metre clearance above the seats and suits beams of 1.4m to 1.7m wide. They cover a length of 1.8m & 2.1m. The Medium Kitset Biminis are designed for sitting room of 1.1m clearance from gunwale and suits beams of 1.75m to 1.85m covering a length of 2m. The Large Kitset Bimini tops are designed for centre consoles, which give you approximately 1.8m headroom and suits beams of 1.7m to 2.1m. Their coverage is 1.8m & 2.1m. 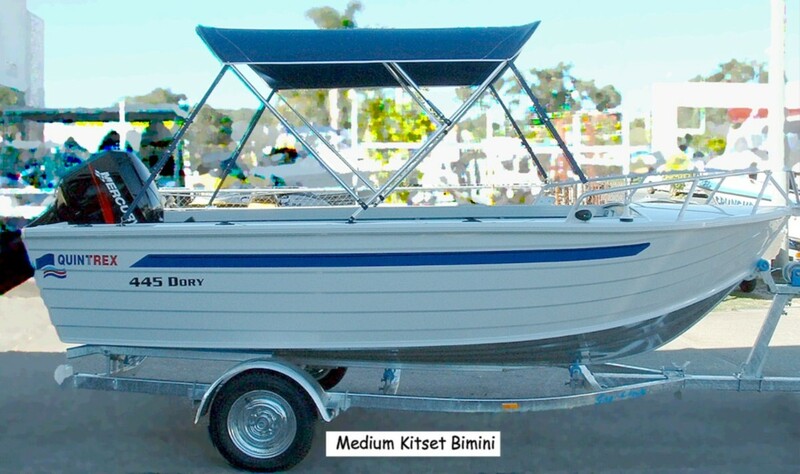 All Kitset Bimini Tops are made using 25mm polished aluminium & come complete with fitting instructions and all necessary parts to complete the job. 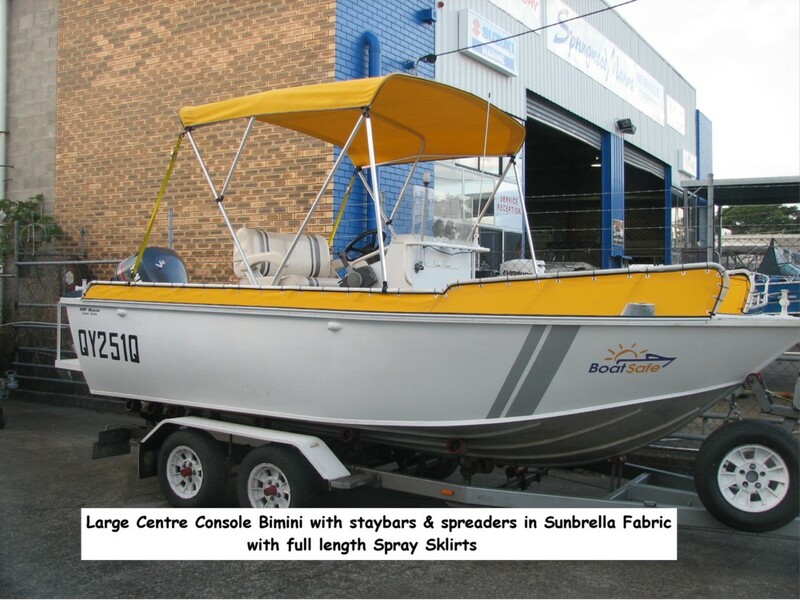 Options for the Kitset range include : Rear Staybar & Spreader configuration for Strap free fishing. 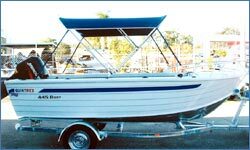 Targa Sock : for use with Staybar or just to protect the bimini when not in use.